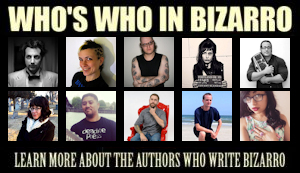 Readers of weird lit should already be aware of William S. Burroughs, having written such well-known works as Junky, Queer, and of course his classic Naked Lunch. Less familiar, but just as unconventional, is his 1981 novel Cities of the Red Night. Cities’ apocalyptic scenario concerns a widespread plague that, among other effects, is able to telescope time. Thus follows a dual storyline in which the disease overtakes an 18th century encampment in Panama (here Burroughs piles on scenes of affected plague victims, making for some gruesome reading), and a 20th century detective searching for a missing boy. 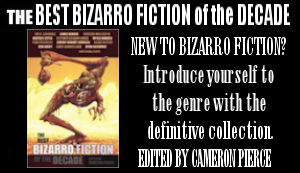 The novel explores how these alternate realities intertwine and contrast to great effect. Cities of the Red Night is the first in a trilogy, followed by The Place of Dead Roads (1983) and The Western Lands (1987). Brimming with the same elements that Burroughs was known for–drugs, homoeroticism, off-kilter concepts–as well as his usual narrative inventiveness and unique imagery, it’s a rewarding read for fans of his more famous novels. In a sleepy Texas town, the Orbit Drive-in’s All-Night Horror Show is interrupted when a comet–not just any comet, but a red one with “a mouthful of jagged, saw-blade teeth”–flies overhead, leaving the patrons trapped in a deadly, sludge-like force field. The horrors depicted in Night of the Living Dead and The Texas Chainsaw Massacre quickly fade as the surviving movie-goers descend into anarchy, madness, and (eventually) cannibalism; this bleak new world takes another twist with the arrival of the Popcorn King, an amalgam of human flesh and snack bar treats. 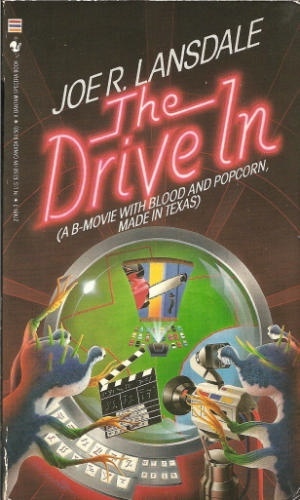 Originally published in 1988, Joe R. Lansdale’s The Drive-In: A “B” Movie with Blood and Popcorn, Made in Texas is a fast-paced novel brimming with bizarre imagery –here you’ll find sentient tattoos, popcorn with eyes, and concession-stand crucifixions. Lansdale blends his affection for horror films, and the drive-ins that played them, with a bitter commentary on mob mentality and religious fervor, underscored by vicious humor and lean, clever writing (the man wields similes like a whip). A sequel, The Drive-In 2: Not Just One of Them Sequels, followed in 1989 and a third, The Drive-In: The Bus Tour, appeared in a limited edition from Subterranean Press in 2005. Both volumes continue the increasingly strange storyline to its unlikely conclusion, adding plenty of absurd wrinkles to the narrative along the way (The Bus Tour, for example, largely takes place inside a whale). In 2010 Underland Press compiled all three novels into The Complete Drive-In, which includes preliminary artwork from Don Coscarelli’s aborted film version. There’s also a graphic novel adaptation from Avatar Press. 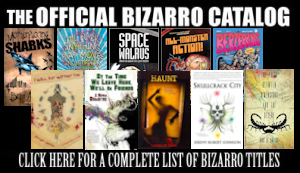 Highly recommended for lovers of the bizarro genre.